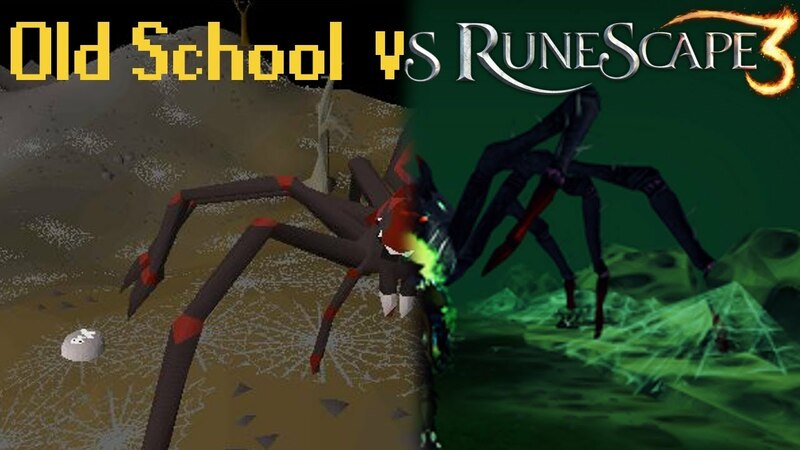 Both OSRS (Old School RuneScape) and RS3 (RuneScape 3) come with their pros and cons, but when you take a look at the basics of the two, both these games have a mammoth reach regarding the multiplayer game. With RS3, mastering the skills might take a few weeks, but with OSRS it might take months. Here are some of the visible differences between the two popular versions of RuneScape. When it comes to factors such as combat options, the RS3 comes with an ability system that has been tested and tried out by many for perfection. In the case of OSRS, the combat option is very simple. This means the bosses are easy to defeat but with certain examples that are difficult. With OSRS, the addition of difficulty to the combat comes with the practice of tricks and several special things that the player has to introduce as opposed to the interesting and playable additions in RS3 now and then. With RS3, players can equip “n” number of overall customizations. However, when you take a look at the customizations of OSRS, it is pretty limited with no overlays. The RS3 houses several minigames inside the main game but most of these are inactive with the new content being introduced to the game making it obsolete. With OSRS, the rate for creation of new quests is rather reduced. The inclusion of new content is centered around maintenance of top gear and minimal future improvements. OSRS offers and simpler interface for the players to indulge in as compared to the RS3. Although the RS3 provides a tutorial, the overall game tends to be messier as compared to the former with multiple toggleable interfaces and features. OSRS serves as a basic platform for the beginners to learn about the diverse world of RuneScape. Although it doesn’t come with any tutorial, you get the gist of it once you start. When you take a look at the endgame scope provided by RS3, it is better as compared to OSRS. RS3 houses a vast content for the endgame with numerous bosses, raids, and many other inclusions. Now for OSRS, it might require a player, years to max out the account completely and once the player has done that, there isn’t much left to accomplish with this game. Here is an overall comparison of the pros and cons of RS3 and OSRS. More profit made via microtransactions. Cool customizations for an outfit. Holiday events that are grindy. Scope for improvement with NPC models and the players. Hatred for the OSRS players. Holiday events that are actually cool as compared to RS3. Higher number of streamers that attract people into the game. Better quests as opposed to RS3. PVP combat that is comparatively decisive. Holiday events that are properly planned. A community that is comparatively hateful. Bots are highly prevalent during the game period. Real-world selling/buying account with high preventable GP in the OSRS community. Hatred towards the RS3 community players. Additionally, when it comes to swapping between the RS3 Gold and OSRS Gold, it ranges between 10:1 as well as 7:1 for the swap, between RS3 to OSRS. However, for the OSRS to RS3 swap the rate of exchange comes somewhere in between 1:5 to 1:8. This isn’t stable though as it fluctuates from time to time. Kamaljot started with OSRS as his very first game for the RuneScape franchise which slowly expanded to all the latest versions of the game. He loves to write about the new developments of the game with a keen interest for the OSRS Gold and RS Gold exchange rates and implementations in the game for improved features.